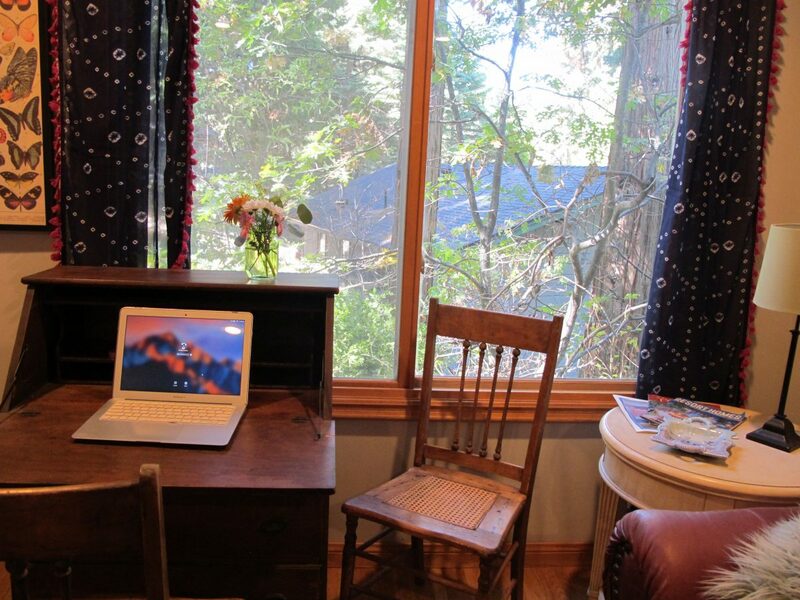 Write from a cottage in the woods! THIS RETREAT IS FULL. EMAIL ME IF YOU’D LIKE TO GET ON THE WAITLIST OR BE NOTIFIED OF THE NEXT ONE! This facilitated writing retreat provides quiet time and space to write, professional insight if requested, as well as optional time in the evenings to share work and receive salon-style feedback from other participants. All meals (lovingly prepared with organic ingredients where possible), snacks, caffeinated beverages, spa water and wine will be provided. Writers of all experience levels and genres are encouraged to attend. 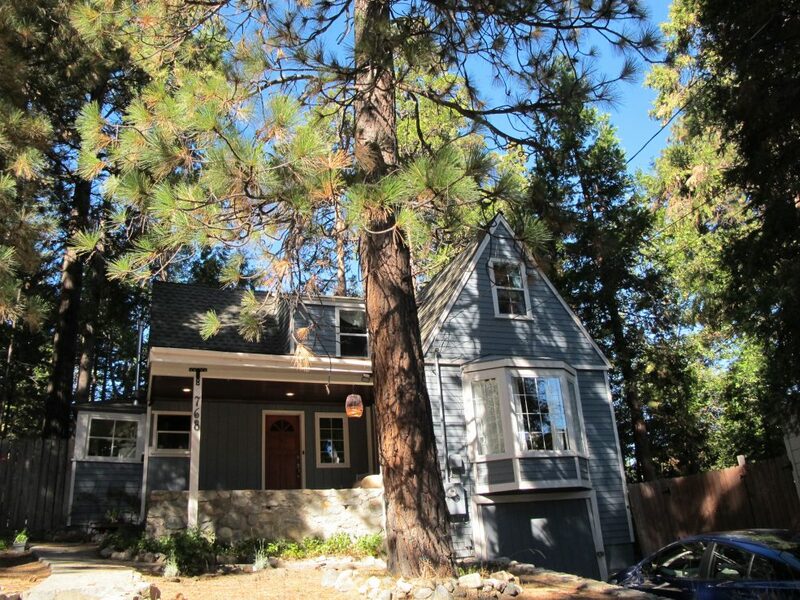 Sugar Pine Place is a 1937 cabin in Twin Peaks, California, is just 1.5 hours from Los Angeles near Lake Arrowhead in the San Bernardino Mountains. There are three bedrooms with room for four participants (king bed in one room, queen bed in another, and two twins in the third). There’s a library for leisure reading, a parlor with a wood stove, and a relaxing entertainment room. Want to get out and stretch? You’ll find a wooded hiking trail at the end of the street, as well as nearby pubs, shopping and restaurants. Learn more and see photos. Vanessa McGrady is a career journalist, former president of the SoCal ASJA chapter, and the author of a newly released memoir, ROCK NEEDS RIVER. She delights in helping other writers find their footing, make goals and reach the next stage of their creative and professional life. She is also an Airbnb Superhost with a five-star rating. Costs are all-inclusive for two nights plus communal meals, drinks and snacks. Full payment is due upon registration. Cancellation policy: If we fill the space, half the payment will be returned. If we cannot fill the space in time, there will be no funds returned. Send an email with a short writing bio, what you’d like to work on while you’re here (I won’t hold you to this! OK to change your mind! ), your room preference, and any dietary restrictions or preferences I should know about. If you can’t make this date or if the room you want is sold out, let me know and I’ll add you to a waitlist or let you know about other upcoming retreats. Carpooling is encouraged as parking is limited! We’ll set up a group email once everyone’s registered to coordinate. I’m sorry but we cannot accommodate partners, children, or anyone else who is not participating in the retreat. This is a group setting and you can be as social or as introverted as you’d like–participation in all events is optional. There will be a small, friendly and quiet maltipoo pup on site. There are a few steps up to the porch and a narrow stairway from the first floor to the bedrooms. Participants will be asked to provide ID. The safety and comfort of workshop participants is of paramount importance. Harassment of any form will not be tolerated and anyone who is deemed a nuisance or threat to anyone else in the group will be asked to leave immediately and payment will not be refunded.